Yoga Socks keep your toes and heels free to exercise as well as to stroll, trek and yes, dance around the house. They are surprisingly cozy and hopelessly cute. 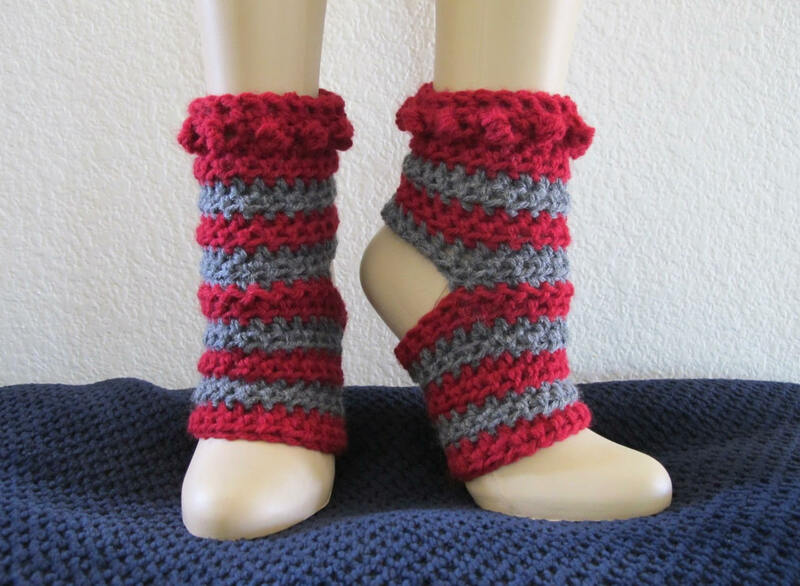 You may wonder how you lived without these comfy little ankle warmers! A quick crochet, they make great gifts. You can stick with colorful stripes, go simply solid or even crochet a rainbow. That’s right, rainbow yoga socks! Too cute! ( I know because I’ve made them. 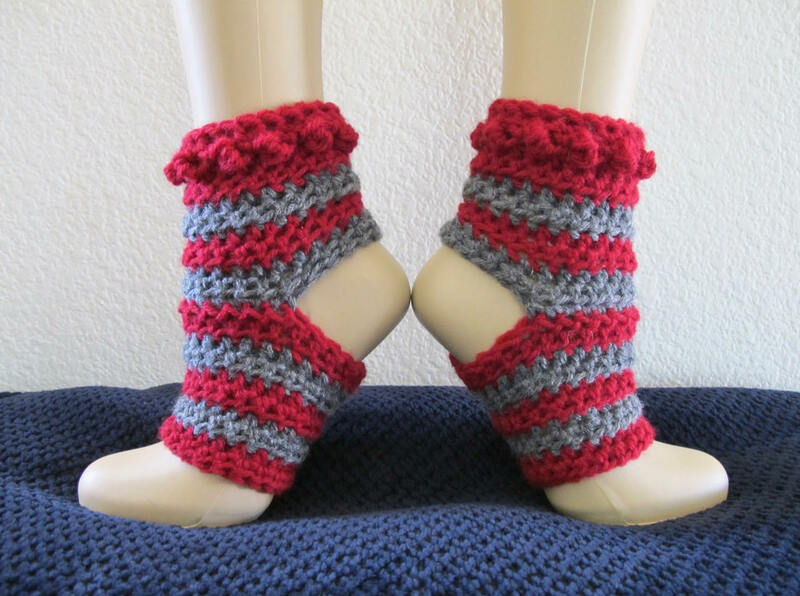 :D) One size fits most, but once you read through the pattern, you’ll realize how easy they are to customize to any size foot. So let’s get dancing! This pattern includes 11 large pictures to go along with the detailed instructions as well as links to three videos demonstrating specialty stitches and assembly. Yarn - Medium Weight  - sample made with Wool Ease by Lion Brand in Cranberry and Grey Heather. This purchase is for the Striped Yoga Sock pattern only. It does not come with the socks pictured here. This pattern is copyrighted and for your personal use only. The Striped Yoga Socks may be made and given as a gift, but the pattern may not be reproduced for use by others.